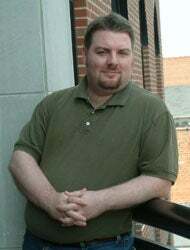 Chris "Topher" Allen, who had been a multiplayer designer on Saints Row 2 at Volition, passed away on Sunday, May 11th of natural causes. He was 35. Mr. Allen began his game industry career as a QA tester on Summoner 2 and The Punisher, and became a designer in 2005. Prior to joining Volition, Mr. Allen was a high school English teacher in Emporia, Kansas and Ankara, Turkey. He leaves behind his wife, Lesley. He was preceded in death by his grandfather, Chauncey Griffith. Mr. Allen was one of 12 grandchildren, and had many close aunts and uncles. "Chris was truly one of those people who, after seeing them, you'd think ‘I wish I was more like that guy' and mean it," said Chris' colleague, James Taylor. Jeff Thompson: "Chris was very passionate, creative and clearly driven to be in our industry. This is where he belonged." Dave Bowring: "Chris was an amazing friend, an awesome person, and had a spectrum of knowledge that always impressed me. He will be greatly missed." Jason Votava: "I wasn't done with Chris yet." Brian Bosse: "I wish Chris were here to help me put words to how much I'll miss him." Clint Bundrick: "Chris' infectious passion and natural sincerity meant there was no better person to show our games to new-hires and potential candidates. This is how I originally met him and months later he remembered even the smallest details of the conversation we had that day. That's one of the things I'll always remember about him." Steve Jaros: "Chris was a man with big ideas and a bigger heart. The fact that people around the world won't get to experience his game ideas is a crime, the fact that he's not around the office to brighten our day is a tragedy." James Tsai: "Chris had boundless love and friendship for everyone, and he showed us all how to be better people. The size of his heart was incredible." Anonymous: "Chris was one of those types of guys who genuinely cared about the people around him and who always had perspective. Like the foundation of a house, he was sometimes easy to take for granted but he was there when you least expected it and always there when you needed him. He touched many, many lives in his short time on this Earth, and we all miss him terribly." Anonymous: " There are so many other things about Chris that made him so important to a lot of us. Thank you Chris, for being a part of Volition and our lives." Lesley Allen asks that any donations in Mr. Allen's name be made to the Make-a-Wish foundation or to the Humane Society.